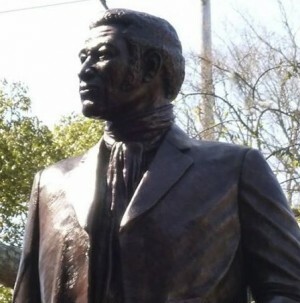 Denmark Vesey monument in Charleston, S.C. When nine defenseless people are killed in a church, it’s not a “shooting,” it’s a massacre. When a 21-year-old white male who wears racist hate badges on his jacket walks into a church and murders nine unarmed Black people, I don’t call that just a “hate crime” by a lone wolf. It’s a terrorist attack by a white supremacist. Unfortunately, the following description is exactly what happened on June 17 in Charleston, S.C., between 8:00 and 9:00 p.m. According to witnesses and recent reports, the accused 21-year-old gunman, Dylann Roof, walked in to Emanuel A.M.E. Church around 8:00 p.m. Local police were called around 9:00 p.m. According to witnesses and on the scene survivors, Roof reloaded five times. Eight people died at the scene, including the church’s pastor, Rev. Clementa C. Pinckney. After a 14-hour hunt, Roof was finally arrested in Shelby, N.C., just a few miles west of Charlotte, N.C., which is the former home of police shooting victim Jonathan Ferrell. We don’t need to have a conversation about race. We need to have a conversation about revolution and Black Liberation. There’s a difference, a political and very serious difference. Ironically, Charleston’s historic Emanuel AME Church has a deeply entrenched history in the struggle for Black Liberation and people’s resistance. In 1822, Denmark Vesey, one of the church’s original founders, was investigated and captured by slave authorities for his plan of organizing a slave revolt there in Charleston. After being sold out by an informant, Vesey and 36 other enslaved African descendants were hanged. For the church’s involvement in a plot to resist, it was burned to the ground by local authorities and vigilantes. Black Codes and Jim Crow laws were quickly enacted to restrict all forms of slave assembly, including churches statewide. Traveling passes became required, while the slave patrol became the first form of organized and paid U.S. policing. Black people were literally forced to worship underground in that church for over 30 years until 1865. Common sense says you don’t fly a “Confederate flag” at half mast to commemorate a history like this. Anyone who knows the history of the U.S. South is well familiar with the ruthless legacy of the state of South Carolina. Charleston was at one point the largest and most important slave port in North America. This same city and local municipality is directly responsible for the brutal death of Walter Scott just a few months ago. Scott was shot eight times in the back by a Charleston police officer. Only because that killing was captured on live video was truth able to reach the masses. 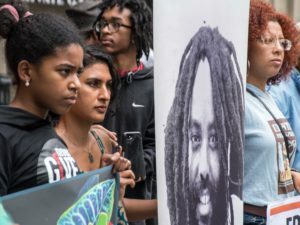 When Black youth from the oppressed communities of Ferguson, Mo., Baltimore and Oakland, Calif., decided to stand on courage and rebel against police brutality, racism and the capitalist system, they were called “thugs,” “rioters” and “hoodlums.” For some reason, 21-year-old Dylann Roof, a well-trained white supremacist, is being referred to by corporate media as a “lone wolf” who must have been “mentally ill.” That media completely fails to address the core issues, nor have they used the correct language. Now is the time for the Black Church to return to its roots of organized resistance, of freedom fighting and liberation. As we also remember the 1963 bombing of the 16th Street Baptist Church that killed four little girls, let us channel this anger into movement building just as our ancestors did. Let this pain inspire us to rally our communities and organize every block. Let this trauma drive a new generation to pursue their freedom and complete liberation. May the people rise above their oppressors. 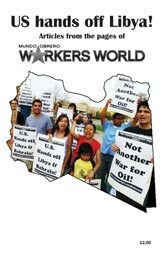 Lilly is a leader of the Durham, N.C., branch of Workers World Party.